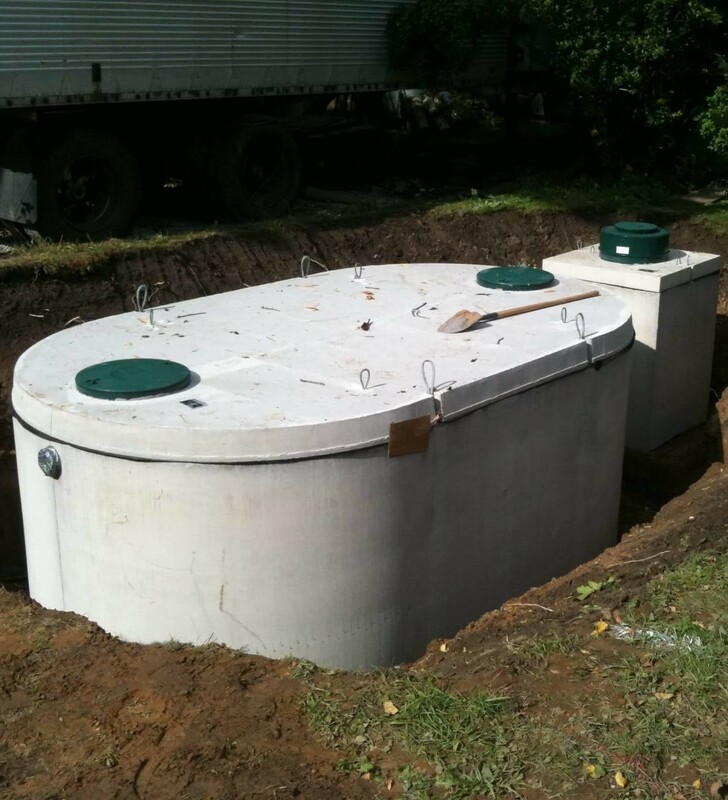 In areas where municipal sewage system is not available waste is often held in tanks called septics. 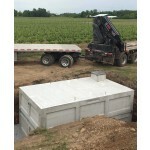 Winona’s precast Concrete Septic Tanks are built to provide years of service as part of a normal septic treatment system. All WCP septic tanks conform to current requirements of the CSA B66 construction standard and in addition are CERTIFIED by CSA. The Winona tanks are unique in Ontario, as most are oval in shape. This design is inherently very strong as there are no corners to facilitate periodic servicing and to prevent surface water from entering, plastic access risers are cast into the tank tops. Riser covers may remain buried or brought to or above grade. -Flexible rubber boots with stainless steel clamps, cast into wall at inlet and outlet. -Cast in place ‘PolyLok’ plastic access risers. These risers are smooth walled, sealed and secured from movement by frost. -Retrofit access riser kits are available for installation on existing tanks. -Oval shape with minimum flat wall components for inherent design strength.